I loved this hostel! Not in the middle of the touristic and noisy area, but very close to the center. Good breakfast, vey clean, comfortable beds. But the real value of this place is that they make you feel home and welcome, from the very first moment you arrive. They know your name, they give you tips, they help you in any possible way. It's not a hostel, it's a house, and when you travel it's so important to feel a bit home. Best staying in Thailand! 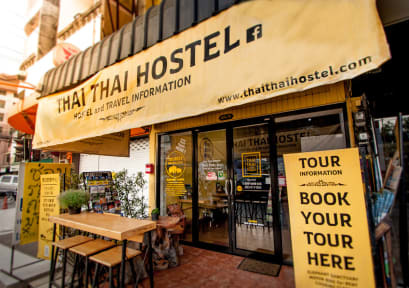 Perfect hostel in Chiang Mai! 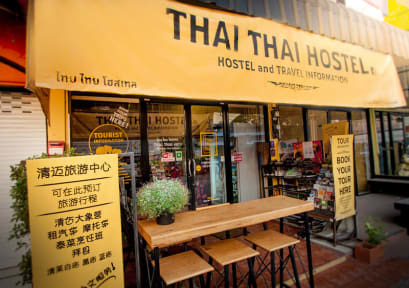 I loved Thai Thai hostel, the staff make this place like home. Good location, new building, lots of activities to do! Recommend! This hostel is a cozy place with a beautiful staff ready to help you 24/7!